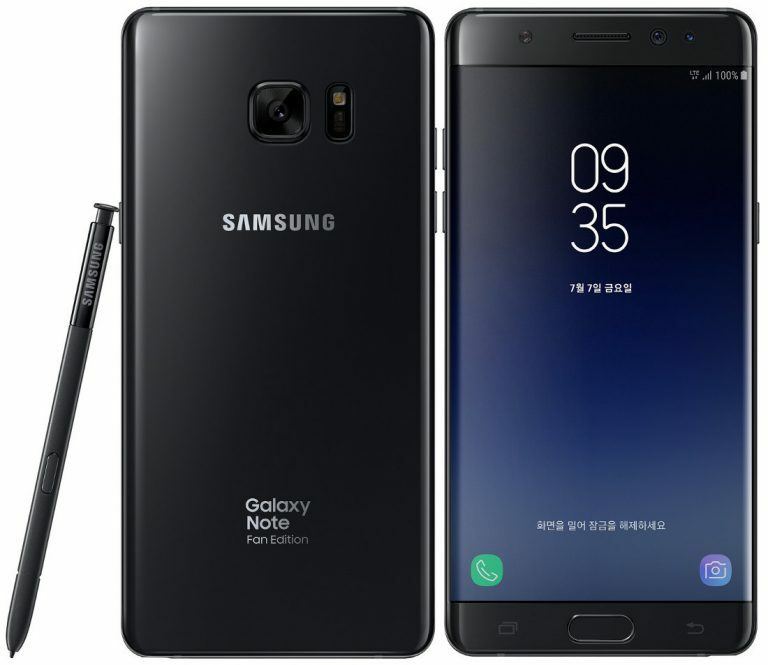 Galaxy Note FE has same specifications as the Galaxy Note7 but this has a new, smaller 3,200mAh battery with 8-Point Battery Safety Check and multi-layer safety measures protocol implemented, same as the Galaxy S8 series. It has a 5.7-inch Super AMOLED display powered by octa-core Exynos 8890 SoC with 4GB of RAM and 64GB of internal storage expandable by up to 256GB via a microSD card. It has a 12-megapixel Rear camera and 5-megapixel front facing camera. It also comes with a Bixby Home and Bixby Reminder along with a new interface based on Android Nougat, that was introduced with the Galaxy S8 smartphones. The phone also comes with a clear view cover, same as the color of the phone. Samsung Galaxy Note Fan Edition (Galaxy Note FE) comes in Blue Coral, Gold Platinum, Silver Titanium and Black Onyx colors and will go on sale in South Korea starting from July 7th.It will retail for 699,600 won ($611).The company plans to sell 400,000 units of the phone in the domestic market and will decide about selling the phone outside its home-ground later.